Having your own collection of women's fashion boots to wear when the weather cools off is one of the best things about fall and winter. Boots range from casual to elegant; some are flat, while others boast stiletto heels. 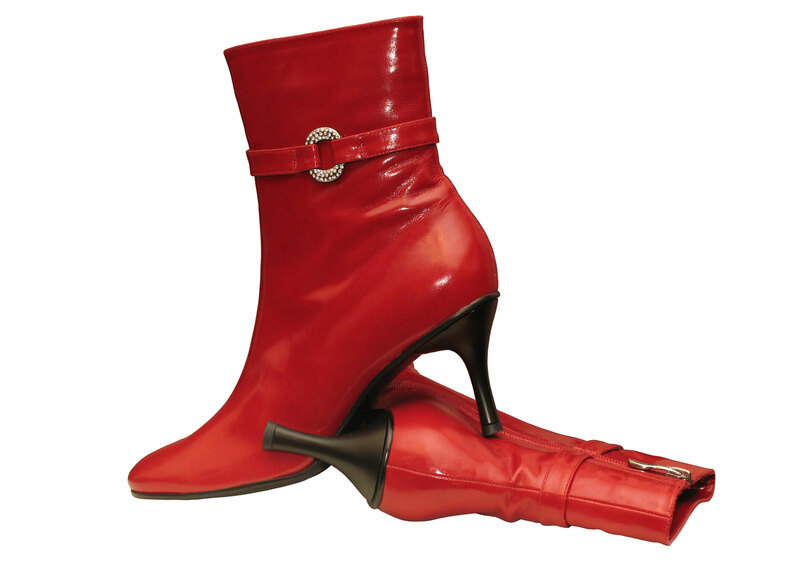 Women's fashion boots come in a range of colors for you to sport with many different outfits. While black and brown are the most popular colors -- and smart neutral options -- don't be afraid to add some spice to your footwear with daring colors as well. Clear platform heels and patent leather make for a daring combination. What will you wear with these? When you match dark brown boots to your slacks like this, your legs look a mile long. Perfect for petite women or any woman who wants to look taller. Ankle boots are another fashionable choice. They pair especially well with mini skirts, but also go great with slacks. With shorter length boots, you don't have to worry about wearing boot cut pants. Animal hide or faux animal skin adds interesting texture to boots. Alligator hide, ostrich skin and snakeskin are often used on fashion boots, but for the animal lovers who can't bear the thought of wearing real skins, imitation styles look strikingly like the real thing. Cowgirls won't get the blues when they wear fashionable Western boots touched with elegance. Spike heels and gold-tone accents will make you the most sophisticated cowgirl around. A short, white ankle boot gets dressed up with silver accents. Wear this style with skinny jeans or a denim mini-skirt. Although black and brown boots are the easiest to accessorize, add some flair to your footwear wardrobe with jazzy boots in blue. A shiny surface and stitch detail make these boots perfect for the fashionista who wants to make an entrance. High heel boots aren't your only stylish options. Flat boots are comfortable to walk in and when matched to your outerwear, give a sophisticated edge to your outfit.